Mike Greene - For Shaw Media Carlos Acosta, left, former leader of the McHenry County Latino Coalition, and LouNess, an ordained Deacon in the Episcopa lChurch, speak to the crowd during a prayer vigil held in support of immigrants detained in the McHenry County Jail and threatened Dreamers Sunday, October 22, 2017 at Bates Park in Woodstock. 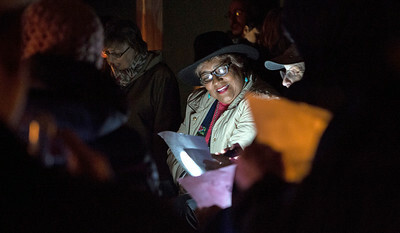 The event featured multiple speakers, prayers, and songs culminating in a candlelit walk to the McHenry County Jail. 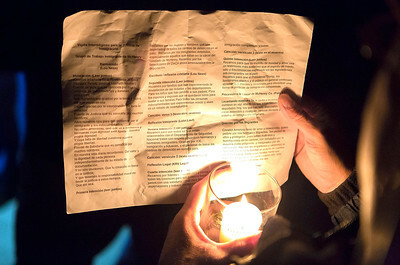 Mike Greene - For Shaw Media Attendees recite verses during a prayer vigil held in support of immigrants detained in the McHenry County Jail and threatened Dreamers Sunday, October 22, 2017 at Bates Park in Woodstock. The event featured multiple speakers, prayers, and songs culminating in a candlelit walk to the McHenry County Jail. Mike Greene - For Shaw Media Attendees of a prayer vigil held in support of immigrants detained in the McHenry County Jail and threatened Dreamers walk to the McHenry County Jail Sunday, October 22, 2017 in Woodstock. Mike Greene - For Shaw Media English and Spanish pamphlets were distributed during a prayer vigil held in support of immigrants detained in the McHenry County Jail and threatened Dreamers Sunday, October 22, 2017 at Bates Park in Woodstock. 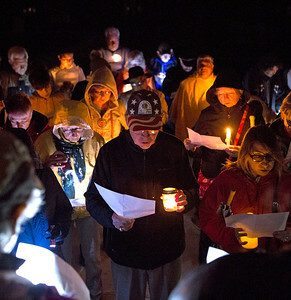 The event featured multiple speakers, prayers, and songs culminating in a candlelit walk to the McHenry County Jail. 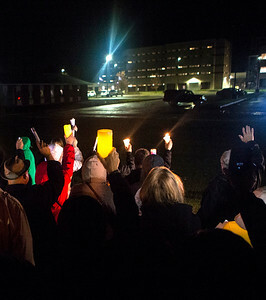 Mike Greene - For Shaw Media Attendees of a prayer vigil held in support of immigrants detained in the McHenry County Jail hold candles to show their support Sunday, October 22, 2017 at the McHenry County Jail in Woodstock. Mike Greene - For Shaw Media Guatemalan immigrant Luisa Lauf, of Woodstock, sings "This Land is Your Land" during a prayer vigil held in support of immigrants detained in the McHenry County Jail and threatened Dreamers Sunday, October 22, 2017 at Bates Park in Woodstock. 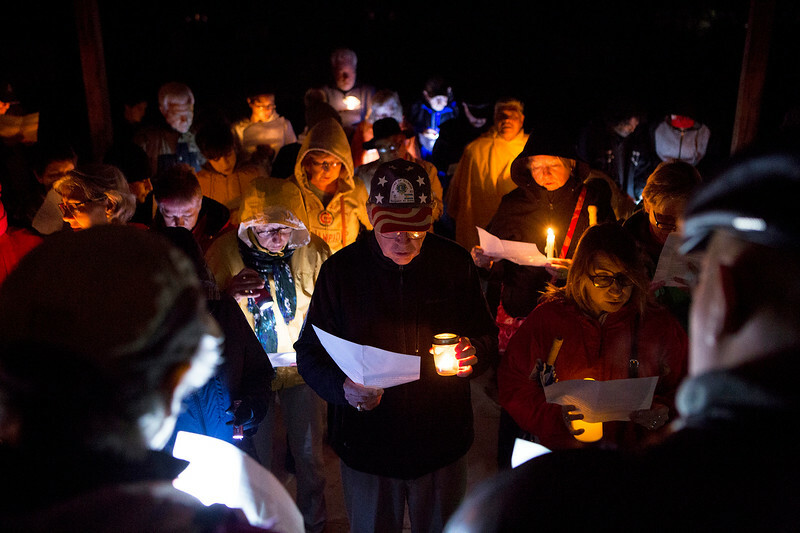 The event featured multiple speakers, prayers, and songs culminating in a candlelit walk to the McHenry County Jail. 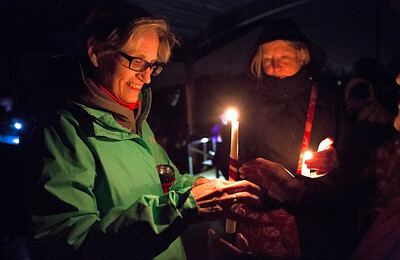 Mike Greene - For Shaw Media Marybeth Urbin, left, of Woodstock, and Cathy Johnson, of Marengo, help others with their candles during a prayer vigil held in support of immigrants detained in the McHenry County Jail and threatened Dreamers Sunday, October 22, 2017 at Bates Park in Woodstock. 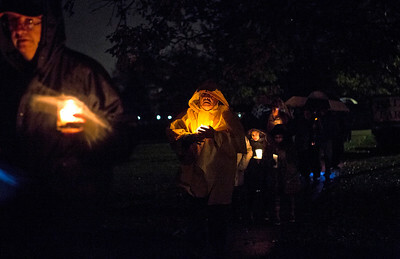 The event featured multiple speakers, prayers, and songs culminating in a candlelit walk to the McHenry County Jail. 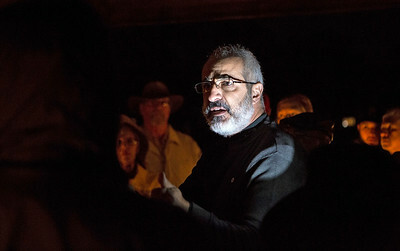 Mike Greene - For Shaw Media George Kililis, of KRV Legal Inc., speaks to the crowd during a prayer vigil held in support of immigrants detained in the McHenry County Jail and threatened Dreamers Sunday, October 22, 2017 at Bates Park in Woodstock. Mike Greene - For Shaw Media Guille Marcial, center, of Woodstock, speaks with event organizer Carlos Acosta before the start of a prayer vigil held in support of immigrants detained in the McHenry County Jail and threatened Dreamers Sunday, October 22, 2017 at Bates Park in Woodstock. 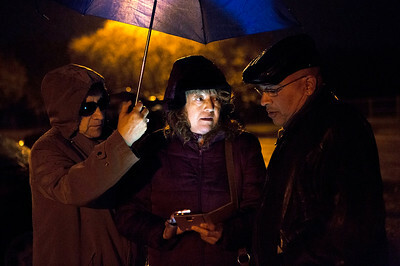 The event featured multiple speakers, prayers, and songs culminating in a candlelit walk to the McHenry County Jail. 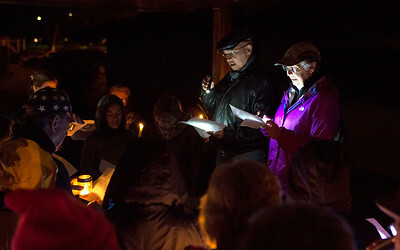 Attendees recite verses during a prayer vigil held in support of immigrants detained in the McHenry County Jail and threatened Dreamers Sunday, October 22, 2017 at Bates Park in Woodstock. 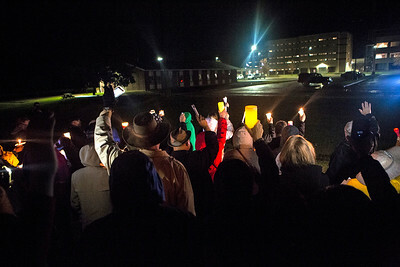 The event featured multiple speakers, prayers, and songs culminating in a candlelit walk to the McHenry County Jail.